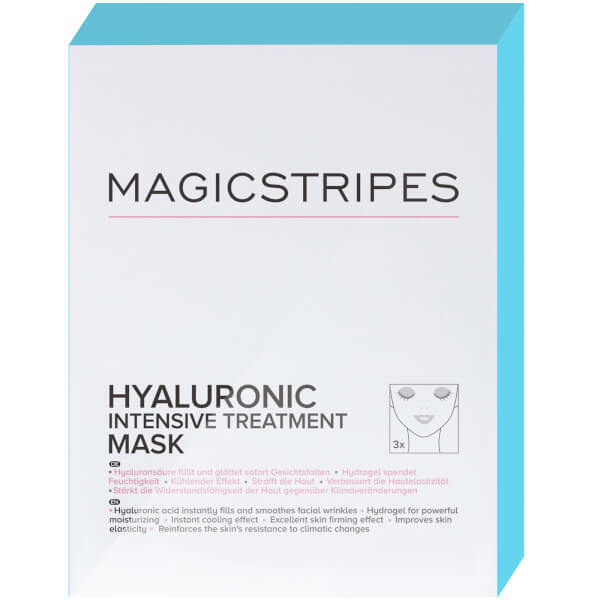 The Hyaluronic Treatment Mask from MAGICSTRIPES is a powerful Hydrogel Mask boasting anti-ageing and moisturising properties. Crafted from 100% natural cotton fabric, the mask is completely biodegradable and is the perfect construction for containing the vegetable ingredients. The powerful treatment has superior effects on the skin’s nutrition supply. 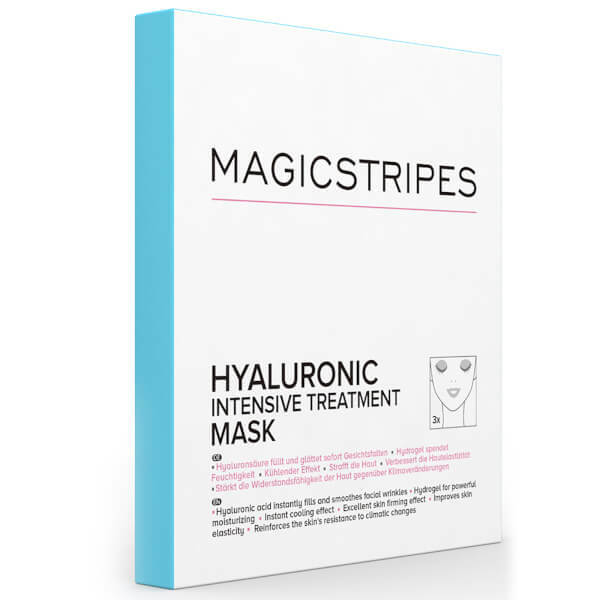 Concentrated with Hyaluronic Acid, the mask works to visibly reduce the appearance of fine lines and wrinkles, creating an overall more youthful appearance. 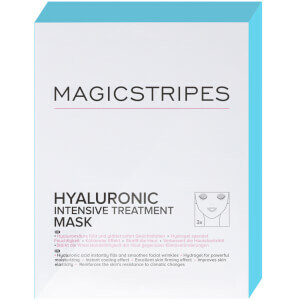 The mask is enriched with Trehalose, popular for its ability to improve the resistance of the skin to climatic changes. The treatment aims to leave skin thoroughly moisturised, nourished and visibly firmer.